The Rexaline solution: compensate for this loss by supplying the skin with the optimal dose of hydration it daily needs. 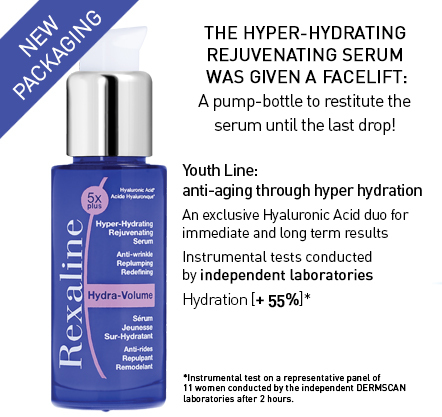 – in the long term: a low-molecular-weight (fragmented) Hyaluronic Acid penetrates much deeper in the layers of the epidermis, stimulating the natural synthesis of Hyaluronic Acid. Skin density is recovered, wrinkles are plumped up.